Classic meets contemporary in the Lancaster Garden collection from Oneida. 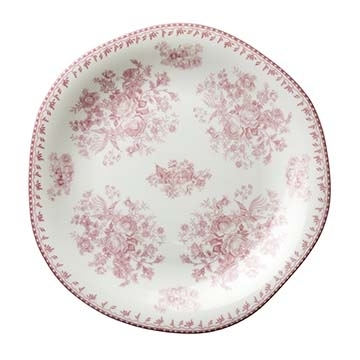 Featuring a cheerful pink color, this pattern features a traditional “fresh from the garden” look and feel. Shapes, on the other hand, are refreshing, trendy and organic. Feminine and fun, hip and retro, Lancaster Garden will bring a delightful spirit and style to any tabletop.